It’s been a while since I’ve had shawarma; and after having watched The Avengers late Friday afternoon, the craving has been planted in my taste buds. So, on Saturday night, a friend and I visited a restaurant I haven’t been to in a while. The restaurant is called Paramount Fine Foods and it has been at the Mississauga location for some time. This restaurant is tucked away in a block that’s primarily industrial, but they have done very well for themselves, and they’re packed at night, especially on weekends. To drink, I ordered the Paramount Special ($6.99)m a mixture of fresh mango nectar, strawberry juice, topped with fruit cocktail, nuts, and cream. 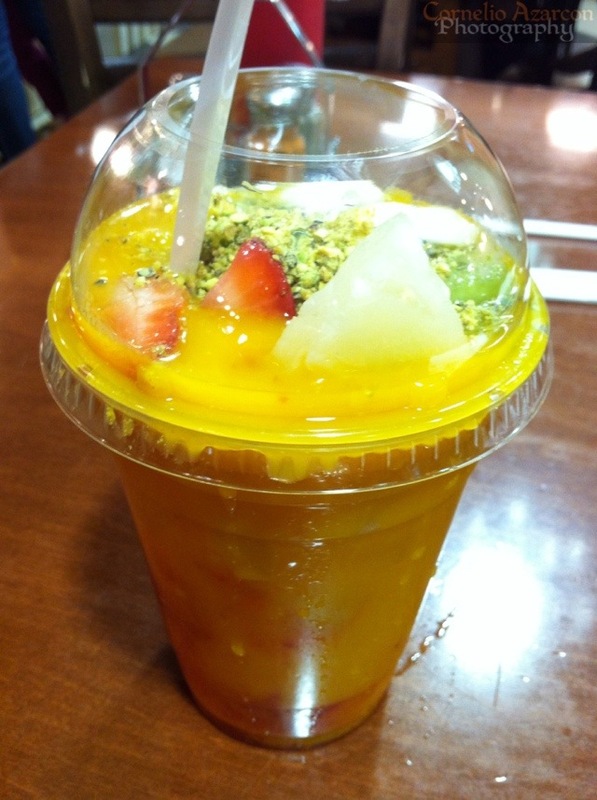 It tasted awesome, and was like a beverage and dessert in one. 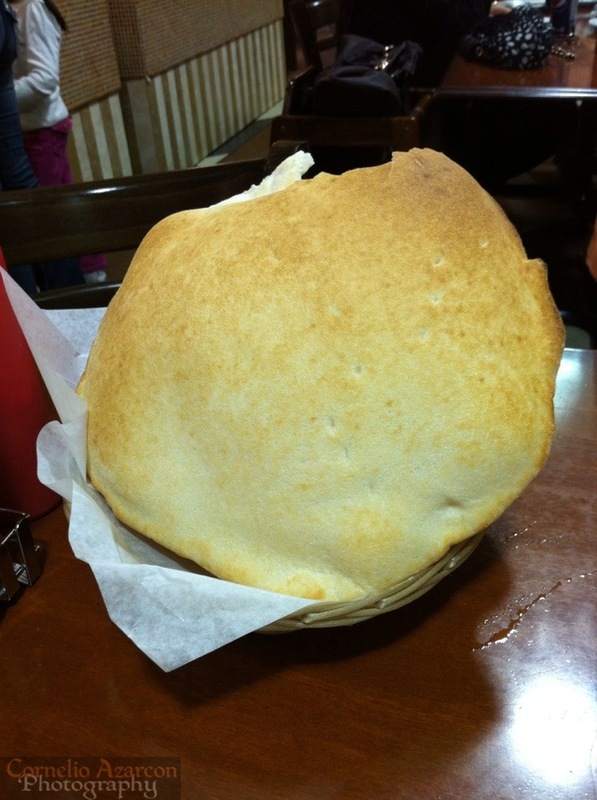 While waiting for our meal, they served us a basket of freshly baked pita bread. All baked goods at this restaurant is made in-house, including sweets. 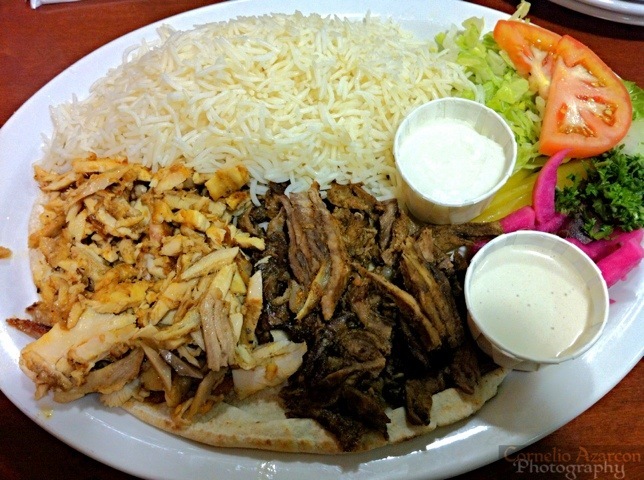 For my main meal, I ordered the Mixed Shawarma Plate ($11.99), a combination of chicken and beef shawarma, with salad and basmati rice. They also provided some hummus and garlic sauce on the side. The meal was so good that we ate in silence. The flavours were very well balanced, and the best I’ve had so far. Would definitely try to make it back here more often.